Do you ever make a card that you love so much that you almost can't bear to send? This was one of them and yet it took just a few minutes to make. 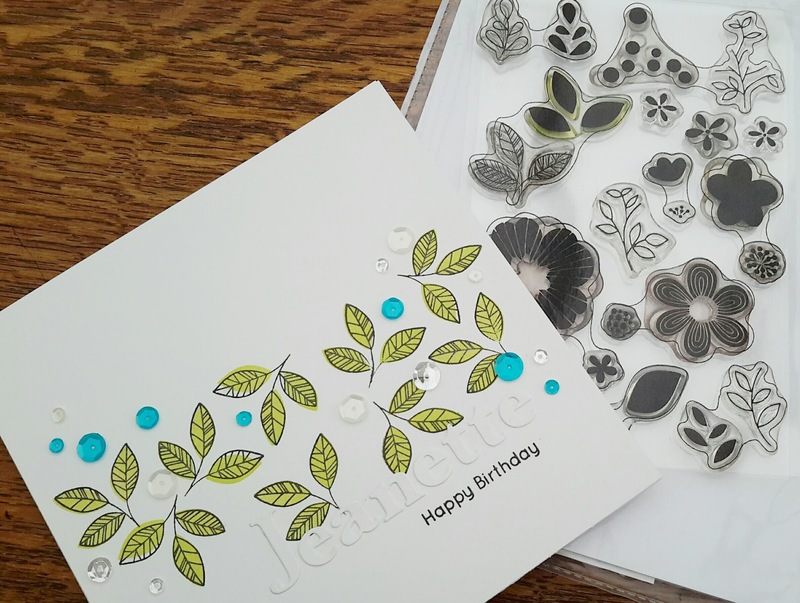 Sometimes I can sit for hours and can't make a card for love or money. The ol' mojo does a runner or what I make just doesn't feel right. Those that I pontificate over or stress about for days are the ones that either end up in the bin or push me to the point of selling EVERYTHING (again!)...lol. I love the simplicity of this card. 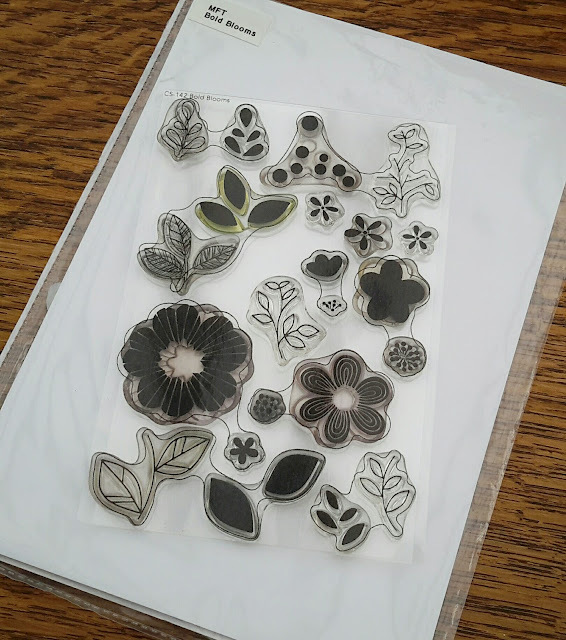 'Foliagey' cards just make me happy. 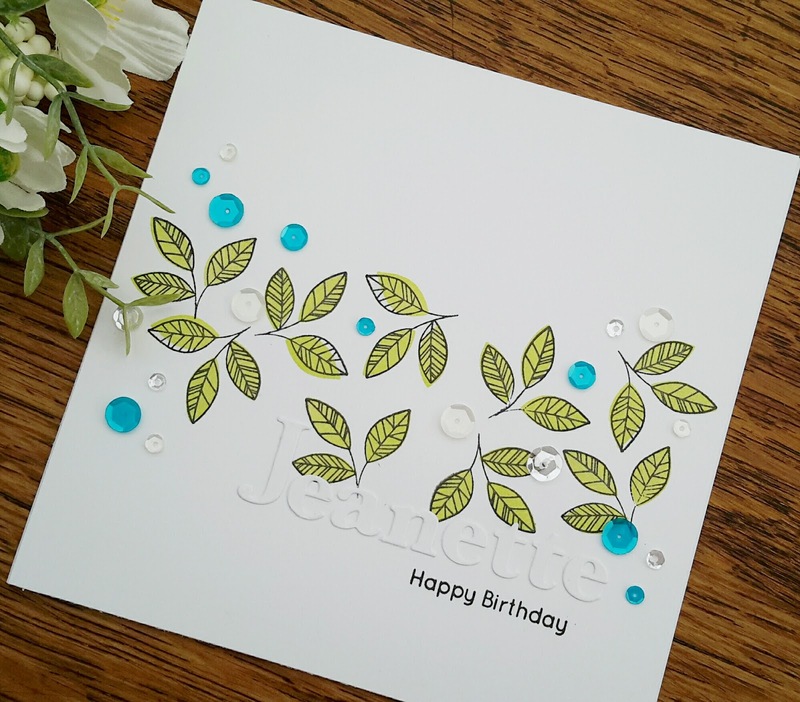 I used one of the leafy stamps from MFT's 'Bold Blooms' and loosely stamped the coloured section. I wasn't worried about stamping it perfectly...I wanted the colour to go over the outlines in a relaxed style. I personalised it using Memory Box's Classic alphabet die set and added a heap of sequins from Neat & Tangled (Ocean Waves). I love these leaves..., they'd be great in autumnal colours. Hmmmmm....might try them on Christmas cards, coloured with glitter. 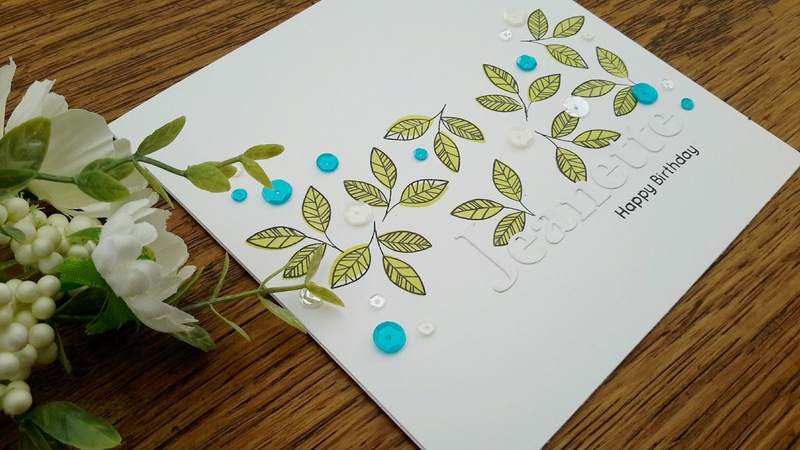 This is really fabulous Jane..love the added sequins..such a simple clean design and perfect..
My goodness, this is a stunning card! I can see how you didn't want to part with it but I am glad you photographed it to share with us all. Absolutely wonderful!